The Amazon Fire TV stick w/ Alexa remote is Amazon’s most powerful and compact media player on the market today. It features 1gb memory, 8gb storage, 802.11ac (fastest wireless currently available), and up to 1080p supported screen resolution. 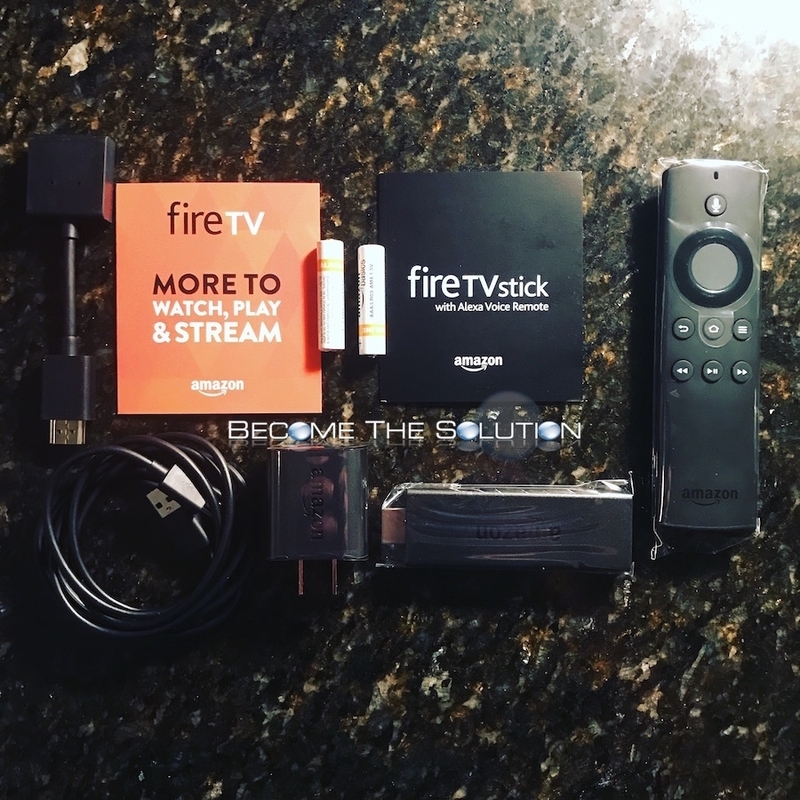 Priced at $39.99, the Fire Stick comes with dozens of free shows and movies including added subscriptions when you connect it your Amazon Prime account. The Fire Stick is much faster than it’s predecessor. 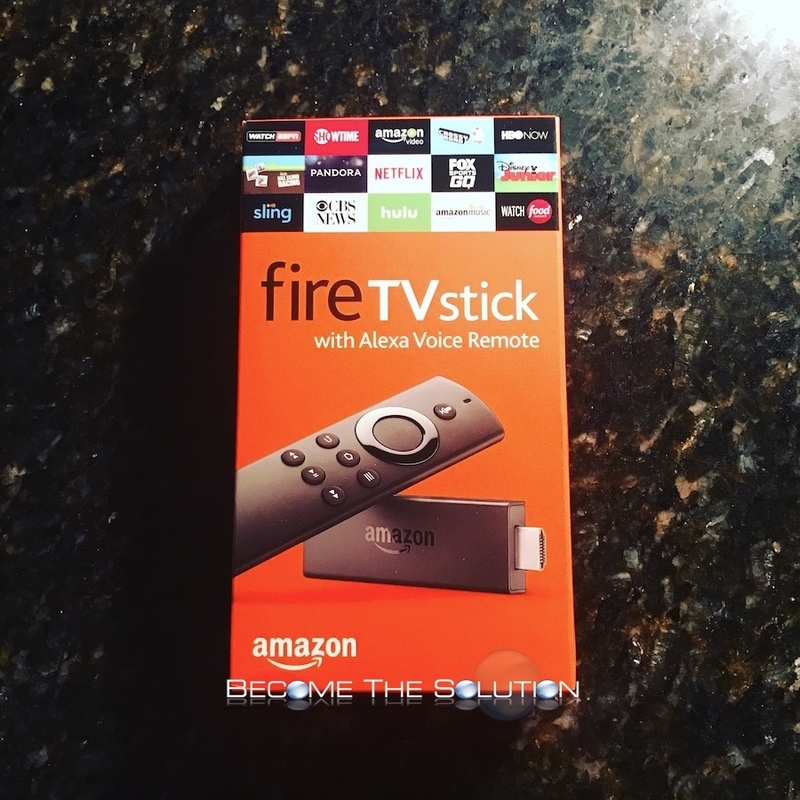 Buy the Amazon Fire TV Stick + Dual USB Power Cable now. The latest Fire Stick requires a separate power adapter (included) in order to be used as a fully functional Fire Stick. 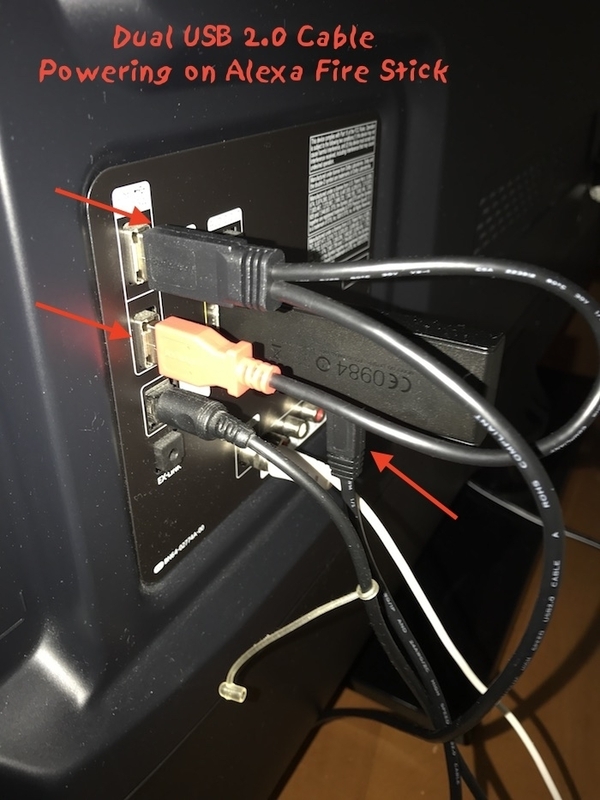 However, for those that still want to power their new Fire Stick through their TV USB port – you can! The new Fire Stick requires around 1 amp of power –the equivalent of 2 USB 2.0 ports. 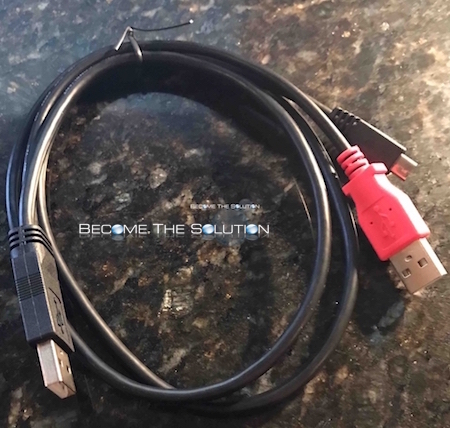 Therefore, you will need a cable with male 2x USB a ports to USB Micro-B ports. 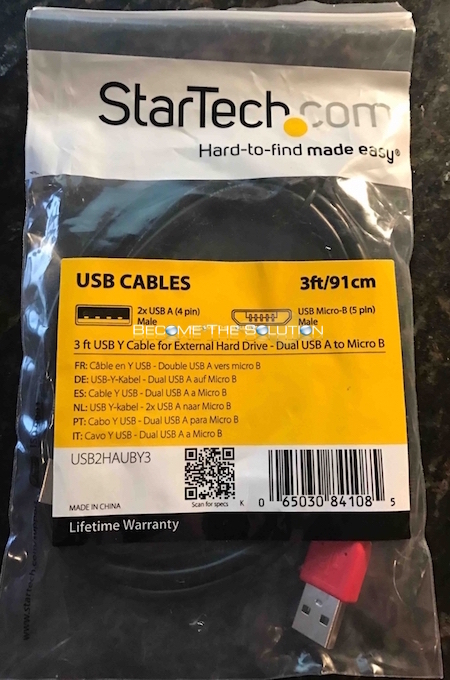 The StarTech 1 foot or 3 feet cable works perfectly. As long as you have 2 available USB 2.0 ports on your TV, the Fire Stick will power on and fully function just as it would with the included power adapter. This also means each time your TV is on or off, your Fire Stick will be as well. Kodi a media server that can be installed as a 3rd party app on most any devices. What makes Kodi especially popular are its free streaming 3rd party media sources that allow you to watch any movie or TV show today. It even allows you to watch Movies in theatres today. At the moment, Exodus is the most popular 3rd party add on for Kodi. 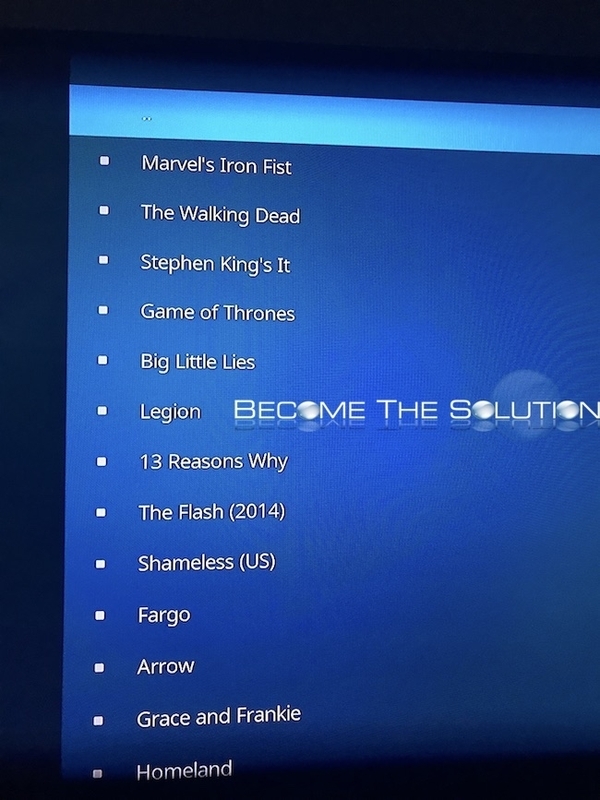 Exodus allows for free streaming of movies and TV shows. Let’s begin installing Kodi and Exodus. 1. 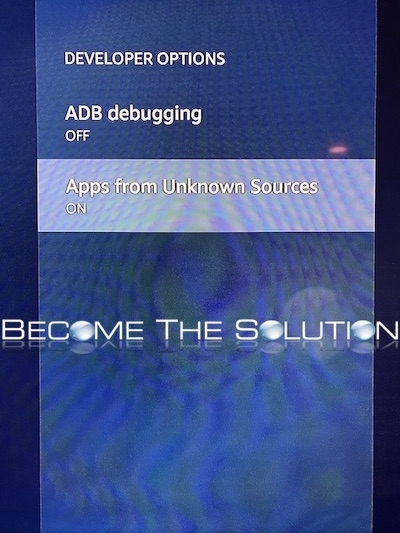 On your Fire Stick home screen, go to Settings -> Device -> Developer Options and enable Apps from Unknown Sources. 2. Go back to the Fire Stock home screen and do a search. Type in downloader. You will see downloader appear. Click Download it (you own it). Once it’s downloaded, you will be prompted with a message you got an app! Select got it. 3. Click open for downloader. 4. 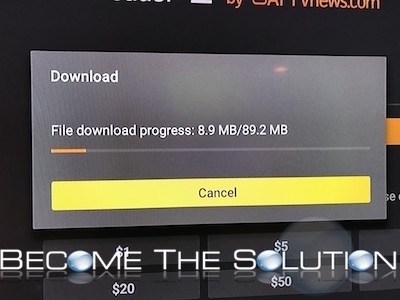 Now, type in the following URL to download Kodi. 5. 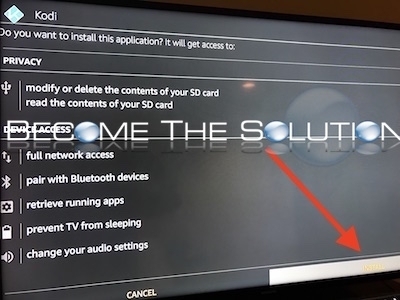 After Kodi downloads, you will be prompted at a screen to install. Choose INSTALL in bottom right corner. 6. After installation you will be notified App installed! and have the ability to OPEN Kodi. 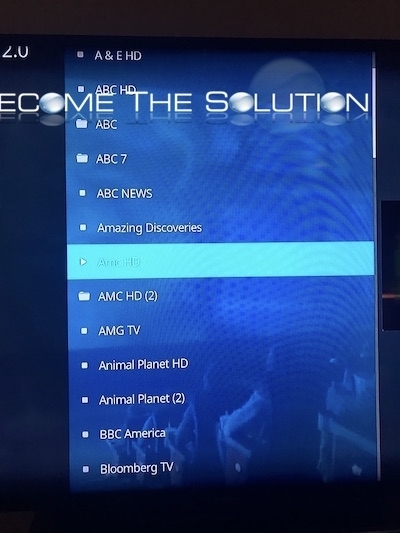 Kodi will launch and begin first time initialization. 1. 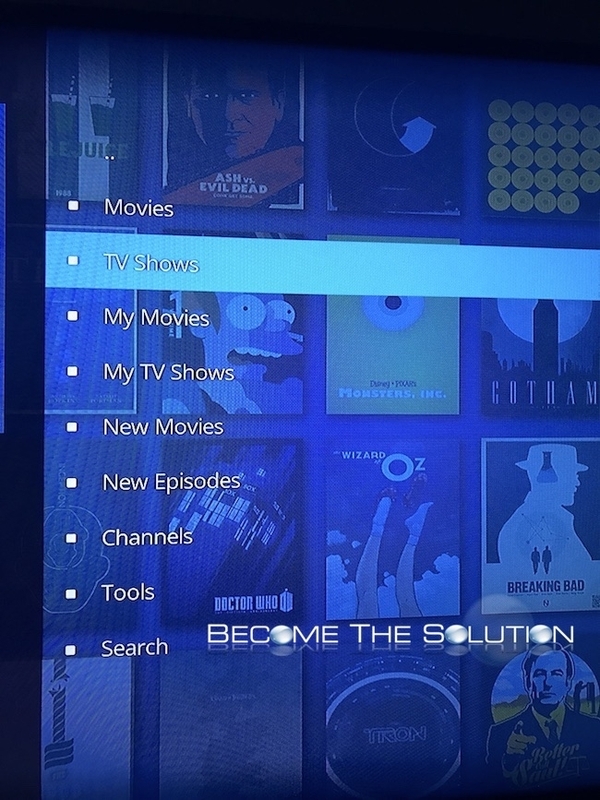 Now that we installed Kodi, we can install Exodus to actually stream TV and Movie shows. Let’s begin. 2. 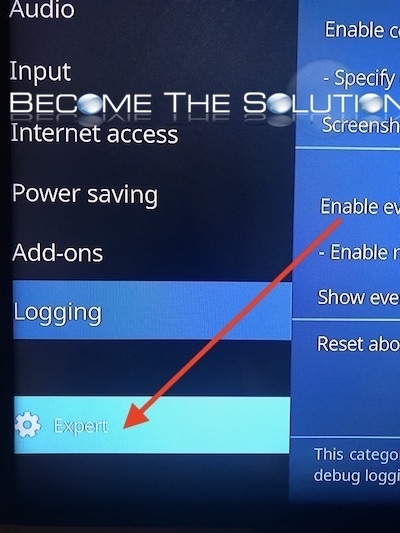 Launch Kodi and go to Settings (top gear icon) -> System Settings and scroll to bottom and highlight standard – then click until it displays Expert. 3. Scroll back up to Add-On’s and enable Unknown sources. 4. 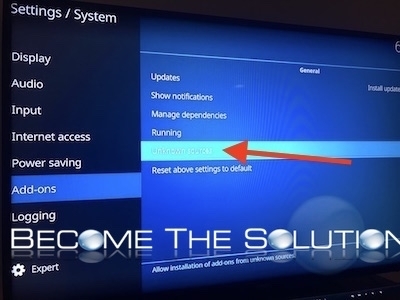 In Kodi, go back to Settings (top gear icon) -> File Manager and select Add Source. Choose None. 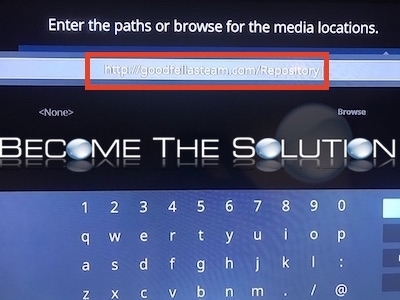 Type the following URL exactly as it appears. 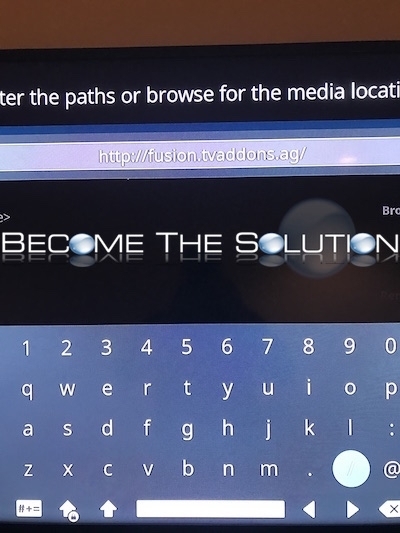 Where is says Enter a name for this media source name it fusion then click Ok.
6. In a few short seconds you should see a pop-up Exodus repository add-on updated. 7. 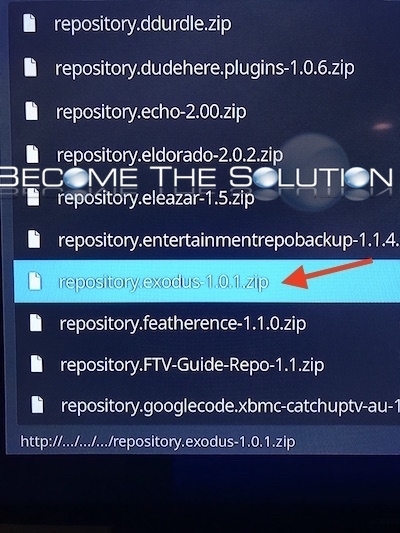 Next, go to Install from repository -> Exodus repository -> video add-ons -> Exodus and select Install. 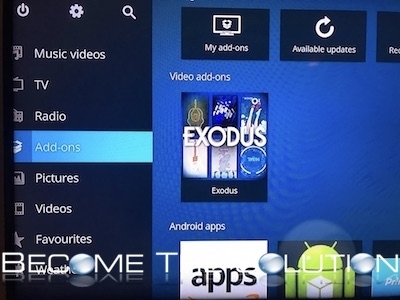 Exodus will now be available from Kodi Add-Ons screen. Open Exodus to begin browsing for Movies and TV shows. So now you want free premium cable channels and live TV on your Fire Stick after install Kodi above. No problem – let’s get started. 1. Open Kodi. Go to Settings (settings gear) -> File manager. Select Add source. Click on and enter the following URL exactly as shown. 2. Click Ok. Let’s change the name from repository to Goodfellas. Click Ok once done. 3. 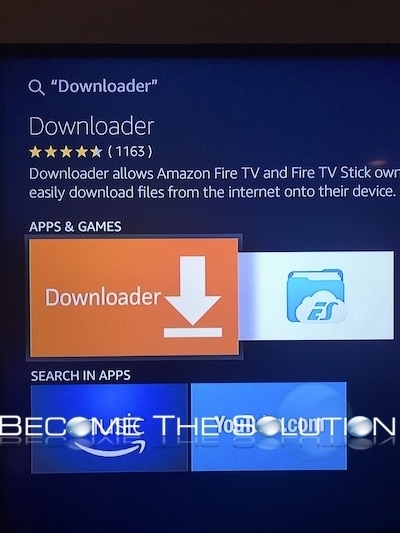 Go back to Kodi home screen. Select Add-ons. Then at the top, select the package icon. Choose install from zip file -> Goodfellas and select repository.goodfellas.zip. Wait a few seconds until you see the message GoodFellas Add-on enabled. 4. 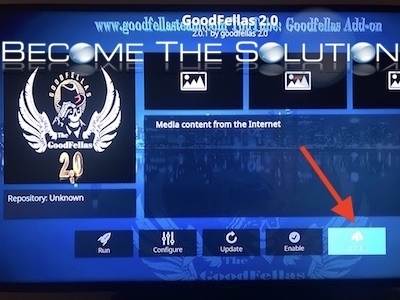 Now, go up and select install from repository then select Goodfellas -> Video Add-ons -> Goodfellas 2.0. Select Install. Note: Goodfellas begins to install. In the case where you see spinning infinitely, you may need to reboot the Fire Stick. This is a known issue. Then just repeat step 4 and it will work on the 2nd install attempt. Launch Goodfellas 2.0 under Kodi Add-ons. To find Free Live TV, go to Free TV Channels -> USA-UK-Canadian Ch. -> USA Channels. Here you will find premium cable TV channels for free. You can add favorite TC channels by highlighting a channel and hitting the triple line on your Alexa remote.